*Little One says it is comfortable. *Loops on shoulder straps to clip on items to add your personality to your MadPax. *Size option choice to accommodate your activity and needs. *Easy to wipe clean inside and out. I really like the half size MadPax we have for activities. It is perfect when you need to back a few things for an outing or a sports day, but do not want to lug a bigger backpack around. With summer camps coming up, our MadPax Bubble Pack in the half size is perfect for days out at camp. The half size will fit everything my Little One will need without having to carry around a full size backpack. The MadPax half size series is recommended for ages 4 and up. The full size MadPax series is recommended for ages 5 and up. So if you are in need of the larger size to pack for school or a longer outing, then the full size is there for all your needs. The MadPax line of backpacks also comes in various other patterns such as Blok and Lator Gator. Blok has blocks on it and Lator Gator has spikes. You can check out all the MadPax styles on the RockPretty Kid Website. To find out more about RockPretty Kids and the line of innovative products that they have, you can check them out on Facebook, Twitter, and Pinterest. You can also sign up to RockPretty Kids and their Loyalty Program. How to Start Collecting Points? *We reserve the right, that at any time, RockprettyBaby, Rockpretty Kids & RockPretty may amend, decrease, increase or discontinue the ways and amounts that Points can be redemmed and collected. 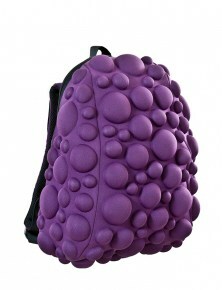 Enter below for a chance to win a half size MadPax Bubble Pack in purple. This giveaway is open to residents of Canada and the US who are over the age of 18 and where permitted by local laws to enter and win giveaways. Please ensure that you read the full terms and conditions found at the bottom of the entry form. I have 270 points so far. I love the Oilo – Modern Berries Duvet. I like the Giggle Me Pink Ballet Tutu Bag. I have 270 loyalty points after registering & using the bonus code! thank you! 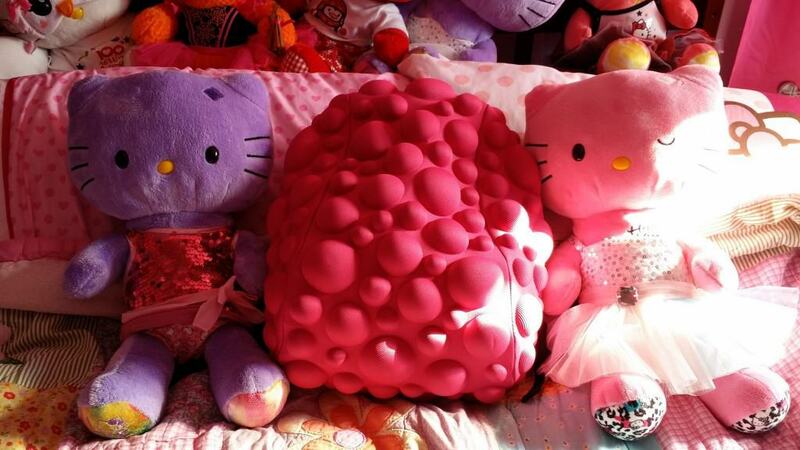 I like the Oilo – Modern Berries Duvet. What a great looking bag. Sure would stand out in a crowd…. I think the Eco-Dough would be something my daughter and I would enjoy. The Eco-paints would be another fun one. I like the Sarah’s Silks – Princess Hat- Pink/Rainbow. I love the Dreamy Dress Up Butterfly Wings in purple!